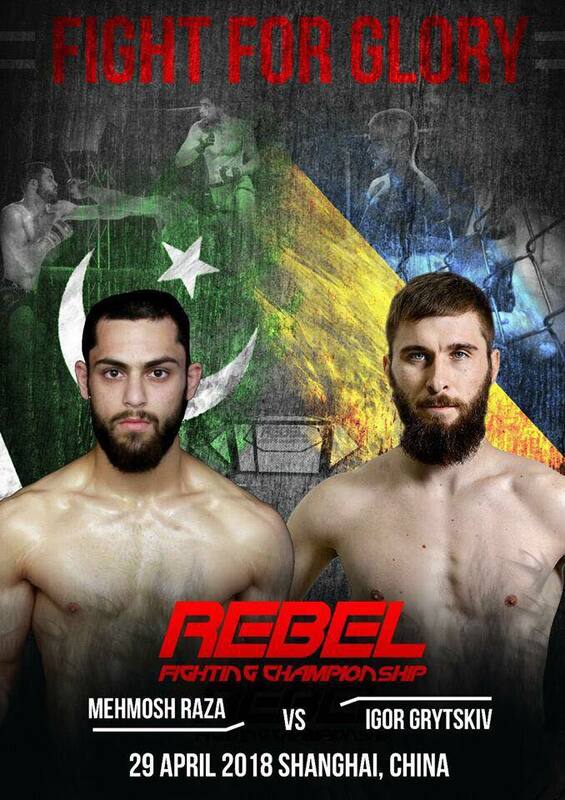 Pakistan’s Mixed Martial Arts (MMA) prospect Mehmosh Raza is up and ready for the biggest fight of his career against Ukrainian fighter Igor Grytskiv at China’s Rebel Fighting Championship on April 29. Mehmosh, who goes by the nickname of ‘The Renegade’, has made a swift rise over the past few years and is now a renowned name in Pakistan’s MMA circuit. The 22-year-old from Islamabad has piled up an impressive record of 6 wins and 1 loss. The Renegade’s recent triumph came against Afghanistan’s Amanullah Khan at the Victory Fight Night in a Featherweight title bout via a unanimous decision. 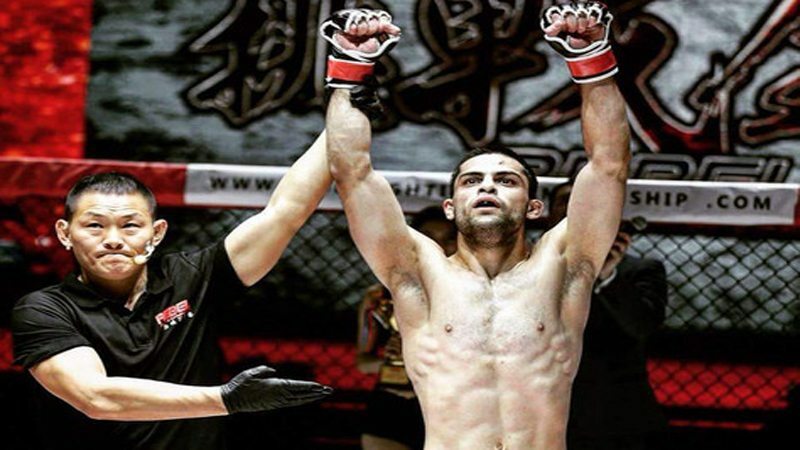 The 22-year-old has fought only once under the banner of Rebel FC defeating China’s Sima Yi via a first-round rear-naked choke, and now prepares for his second appearance for the promotion which he regards as his ‘toughest test to date’. Speaking about Igor, An experienced campaigner who has a 7-2 record in MMA, Mehmosh said that the skill of his opponent does not worry him since he ‘has more heart’. “My opponent may have more experience than me, but I have 10 times more heart,” Mehmosh said via a Facebook post. The MMA prospect also vowed to bring glory to Pakistan, a country where MMA is still in its early years. “InshAllah I will bring glory to Pakistan,” Mehmosh added. Director Prime Sports Management and Raza’s manager Muhammad Rizwan Ali lauded the fighter for showing great improvements in his game. He also emphasised that Mehmosh would knock his opponent out in the first round. “The fight against Igor is the toughest fight of Mehmosh’s career, but he has heart of a lion and has improved a lot. He will knock Igor out in round one,” Rizwan told Daily Times. Mehmosh Raza is one of the promising young names in Pakistan’s ever-evolving MMA industry. He has featured in numerous high-profile fights in a short span including his battle against Haroon Durrani at Fighting Alliance 5, which remains to date one of the finest showcases of the martial arts in the country’s history.